Thanks to Christina Peck and All-City for my awesome new Nature Boy!!! Huge thank you to Christina Peck, winner of last year’s NACCC in Austin, Texas, and All-City Cycles for hooking me up with this Nature Boy. This bike is so much fun to ride and work on and I can’t wait to race on it! People really love how colorful it is. I’ve come out of buildings a couple times to see people taking pictures of it and children posing with it. 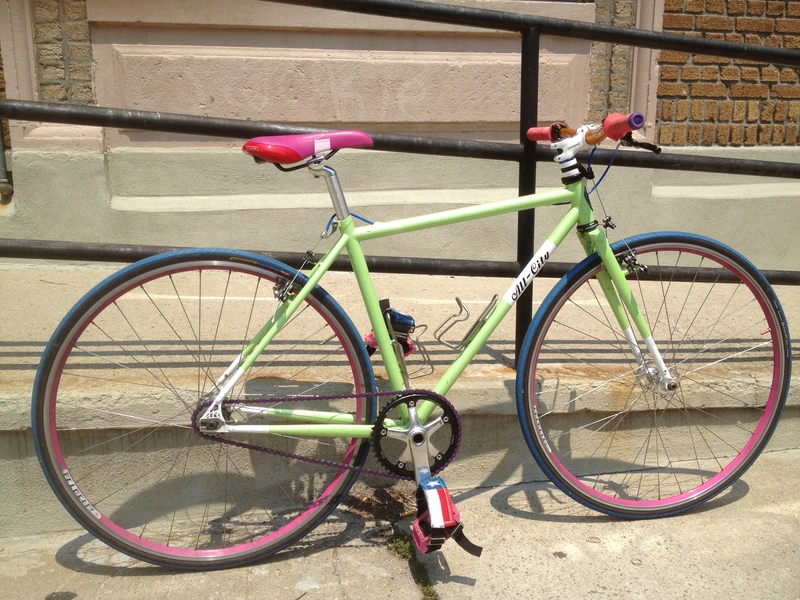 Big thank you to Bushwick Bike Shop for building it up!!! « Taliah Lempert painted my Squarebuilt! Heather MULLER!! Found you!! 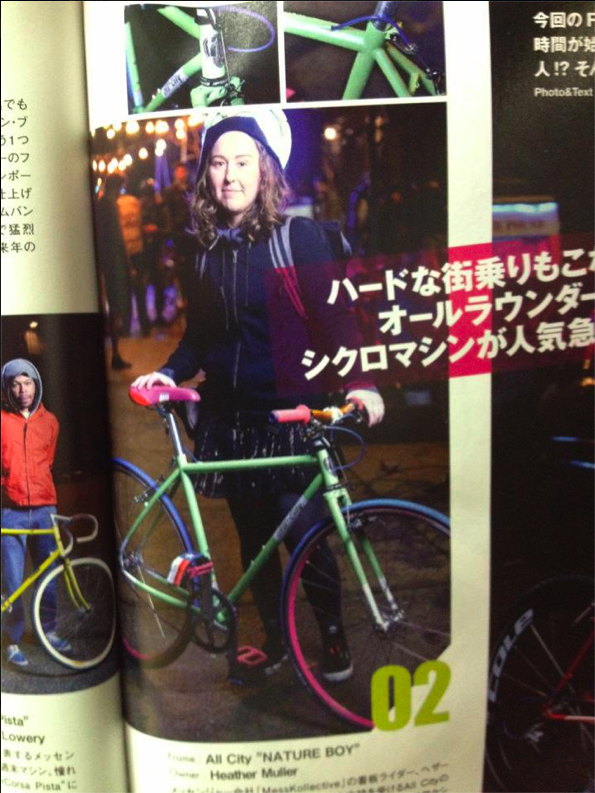 Can’t believe you were featured in a Japanese magazine! !